Thank you for subscribing to The Josephite Harvest. As a reader, you are supporting Catholic ministry in the African American community. We are now asking you to renew your subscription. For 150 years, we Josephite priests and brothers have been serving in the African American community. We have a proud history that started shortly after the Civil War. From the East Coast to the West Coast, we are serving in parishes and schools and special ministries. Why should you get or renew your subscription to The Josephite Harvest? Encourages devotion to the Sacred Heart of Jesus and our patron, St. Joseph. Fosters racial and cultural understanding and reconciliation. Makes known the achievements of African Americans influenced by the Catholic Faith. Recognizes the labors of clergy and lay persons evangelizing African Americans. You can subscribe now for the incredibly low price of $10. By subscribing now, you help promote the evangelizing ministry of St. Joseph’s Society of the Sacred Heart. African American ministry. 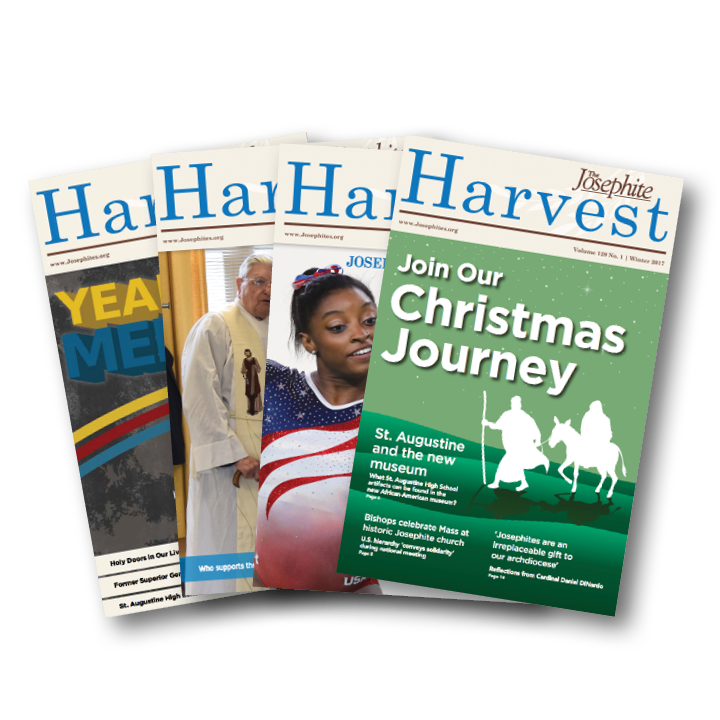 When you subscribe you are united with more than 100,000 Josephite Harvest readers. Stay connected to the Josephite mission and the African American community. Thank you for your subscription to The Josephite Harvest. Your order will only be processed once your payment has been received.